During a much needed clear out, I came across this issue of the short-lived British magazine Speed&Power from very early in 1975. As I've mentioned elsewhere, S&P was essentially my gateway into SF since they reprinted many short stories by Arthur C Clarke and (later) Isaac Asimov. 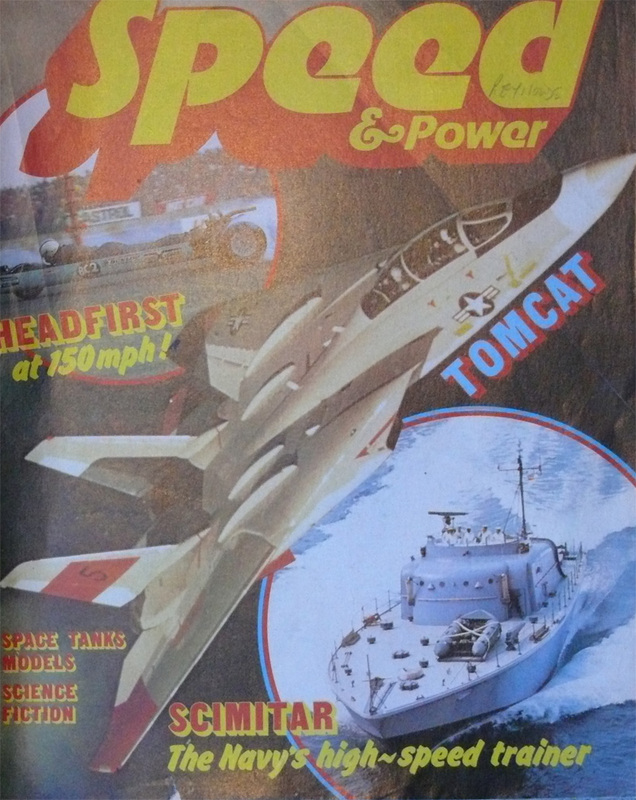 (Note, incidentally, the "Reynolds" pencilled into the upper right corner of the magazine, by the newsagent in Barry who kept my copy aside each week). 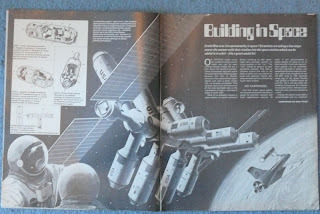 What caught my eye this time was a neat little article on the construction and operation of America's future space station. 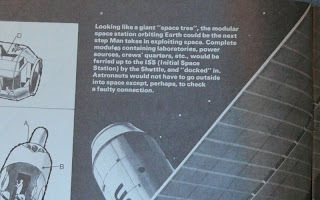 The article would have been written in 1974, seven years before the first flight of the space shuttle, and a decade ahead of Reagan's announcement of the first proposal for the actual station, then called Freedom, in the mid nineteen eighties, and a full quarter of a century ahead of the actual constuction of the station. Although the illustrated space station is built on a triangular geometry, the essential details aren't far off the mark - modular components, huge solar arrays, and the space shuttle doing the heavy work of lifting modules into orbit and then positioning them with its robot arm. All this, of course, was to some extent already on the drawing boards, but it's interesting nonetheless to see a piece of pop science prediction which doesn't look laughably wide of the mark forty years on. Even more remarkable, to my eyes, was the supposed acronym for this "Initial Space Station" - the ISS. 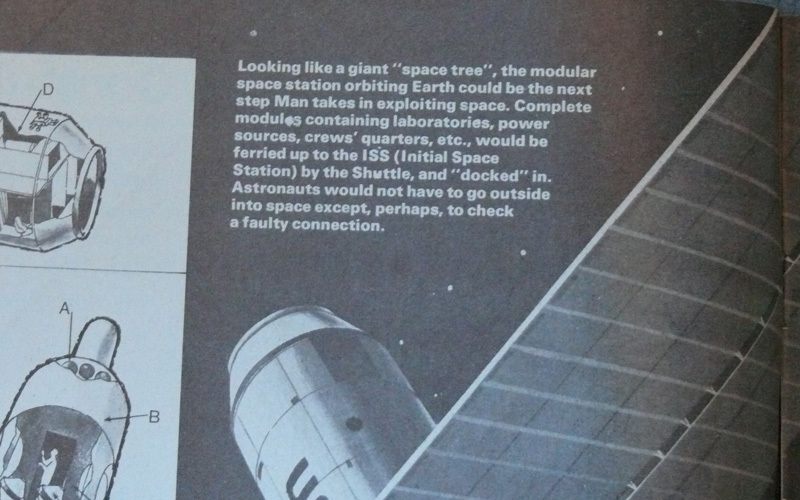 Doubtless the term ISS was already circling within NASA circles at the time, but I've no recollection of hearing it until much later in the real history of the space station. With the first round of edits now complete on On the Steel Breeze, I thought it was time for another update. I promised that I wouldn't talk this one into the ground before publication, but hopefully this teaser and back cover copy should provide some flavour of the book. We have found a distant planet. It carries sign of an alien civilisation. And on a fleet of holoships, vast asteroids hollowed out and turned into miniature worlds, millions of us are heading there. With engines designed to exploit a physics we barely understand we are on a one way journey, travelling at one sixth the speed of light, to a new home. And an encounter with the unknown. And we take with us hopes and lies, secrets and betrayals. And another, quite alien intelligence. The Akinya family have not finished with space. Their destiny still lies with the stars, however they get there, whichever of them make it. 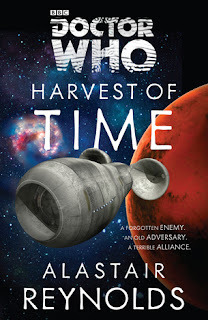 I'll be doing quite a bit of promotion around the release of Harvest of Time. Here are the signing events, at which I'll also be doing a reading and general chat for anyone interested. 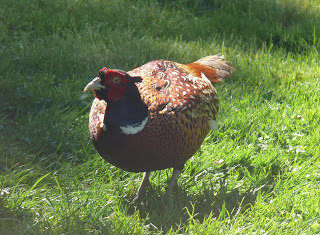 Unusual visitor to the garden yesterday. Not the first time we've had one but the last was a few years ago and only just avoided being gobbled up by a fox. 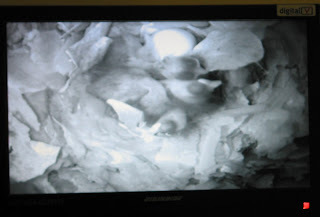 The nuthatch chicks are now a week old. There were five to begin with, but now we're down to two, although the final pair do seem to be doing quite well. They look quite a bit larger now. "Reynolds nails both the family horror tone of the series and the characterisation of the regulars. The Doctor is all warmth and gentle pomposity, while the Master is charming, detached and amusingly ruthless. At one point he hypnotises a man into committing suicide – but lets him finish his cup of tea first. The secondary characters are also a well-drawn bunch: sympathetic, believable and often doomed." 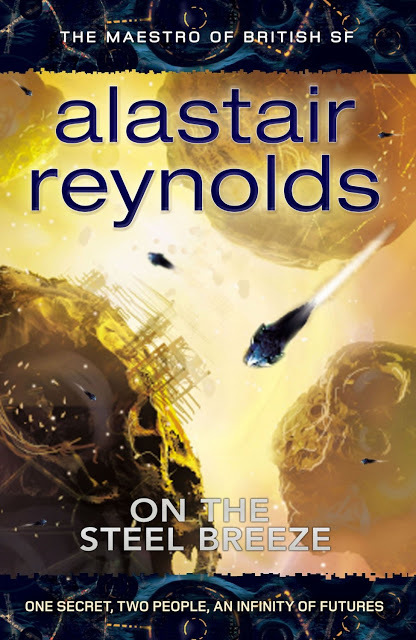 The cover seems to be a source of some amusement, which I'll take in good humour, although I must admit on first viewing I saw only a bulbous grey spaceship rather than a phallic symbol. But I suppose all spaceships, on some level, run the risk of looking just a tiny bit phallic. Getting back to the review, my main fear, when I went into this, was that I might not hit the right notes with the main characters. Doubtless there will be dissenting opinions but for now I'm well pleased that SFX feel my evocation of the Doctor, Jo, The Master, Brig and so on hit the mark. I was immediately attracted to the idea of doing Pertwee's Doctor because, apart from a basic affection for that era, I felt that his character was the one that I had the best handle on in terms of dialogue and mannerisms. I am just as fond of the Tom Baker era but I would have found his Doctor quite a bit harder to evoke on the page. For Harvest of Time, I rewatched almost all the Pertwee adventures that have been released on DVD and tried to pay particular attention to the interplay between the recurring leads. Oddly enough, as a child, I never had the faintest interest in who the UNIT soldiers were, and even now I had to keep reminding myself which one was Benton and which one Yates.